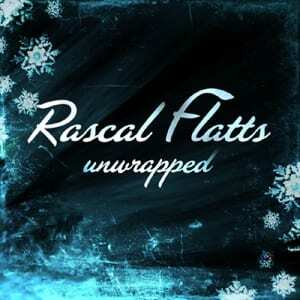 Rascal Flatts have a new seasonal EP available only at digital music outlets. Unwrapped features the holiday classics “White Christmas,” “God Rest Ye Merry Gentlemen,” “Jingle Bell Rock” and an a cappella rendition of “I’ll Be Home For Christmas.” Bundled along with these tracks is the music video for “I’ll Be Home For Christmas,” which was filmed during an overnight shoot at New York City’s historic Roosevelt Hotel. The Lyric Street group has had major success with digital sales, amounting to a total of 22.5 million paid digital downloads.